While the Royal Palm Hotel was being constructed in downtown Miami in the summer of 1896, Henry Flagler made a visit to Miami to inspect the progress of his grand hotel. During this visit, he noticed that his workers were living in crudely built tents. Many of these workers came to Miami for work following the devastating freezes in North and Central Florida. Flagler was dismayed at the conditions the workers were living while working on his hotel. It was during that visit that Flagler ordered housing to be built for the working class of what would officially become the City of Miami in July of 1896. Prior to returning to Palm Beach, Henry Flagler walked the area around the Royal Palm Hotel property with John B. Reilly. Reilly was elected as Miami’s first mayor when the city incorporated in July. 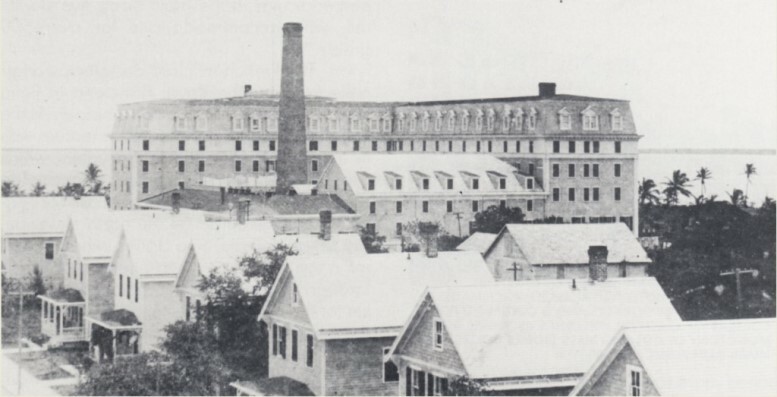 Flagler and Reilly walked toward the bay, just north of the hotel, to inspect land for worker cottages. As he walked with Reilly, Flagler commented “these lots will sell for high prices to wealthy people who will build winter homes”. The two men continued west of the hotel and selected an area for worker housing on thirteenth and fourteenth streets. The streets are now known as SE First and SE Second streets in downtown Miami. The homes that were built for the workers were referred to as Royal Palm Cottages. They were balloon frame structures. The homes were typical of working class homes in late nineteenth and early twentieth centuries in Miami. 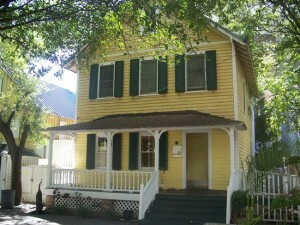 The cottages were wood frame vernacular homes that were painted in what locals referred to as Flagler yellow. The architectural style was considered Folk Victorian. There were roughly thirty Royal Palm Cottages built in the late 1890s in downtown Miami. The cottages rented between $15 and $20 per month. The price depended upon the size of the cottage and whether the home included indoor plumbing facilities. The purchase price ranged from $1,200 to $3,000. While the cottages were built for the working class, it didn’t keep other notable Miami pioneers from taking up residence in one of Flagler’s cottages. John B Reilly, the first Mayor of Miami, and family lived at 1314 Avenue B in one of the Palm Cottages. In today’s address scheme, he would have been roughly at 114 SE Second Avenue. This is now the location of the Huntington Building at the corner of SE First Street and SE Second Avenue. Another notable resident that lived in one of Flagler’s Palm Cottages was Everest G. Sewell. Sewell was known as the great promoter of Miami tourism in the 1910s and 1920s. He was a three term Mayor of Miami and was partnered with his brother, John, to operate one of the earliest retail establishments in Miami. Everest Sewell lived at 217 Fourteenth Street in one of Flagler’s Palm Cottages. In today’s address scheme, Sewell’s Palm Cottage would have been located on SE Second Street at the location of a parking lot on the north side of the street across from the entrance to the Marriott Courtyard garage. Similar to so many wood frame homes in downtown Miami, the Royal Palm cottages began to disappear over time. The cottages occupied what became valuable downtown land. The building boom of the mid-1920s accelerated the razing of the cottages in favor of larger commercial buildings. The last Royal Palm Cottage was converted into an insurance office in 1951. It was located at 134 SE Second Street. 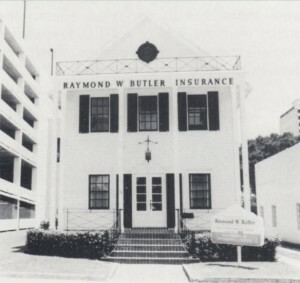 The Raymond W Butler Insurance office operated at this location from 1951 until 1978. The building’s appearance was altered dramatically during this time period. The last cottage was moved to Fort Dallas Park in 1980. The park is located behind the Hyatt and the Miami Convention Center and along the north side of the Miami River. The cottage was very close to the south west corner of SE Second Street and SE First Avenue. The Palm Cottage either faced demolition or preservation by relocation. Fortunately, it was moved very close to where it resided for so many decades. The move was necessitated by the desire to build larger commercial buildings in the area. The forty seven story Miami Tower was built at this location in 1987. Around the time of the cottage being moved to Fort Dallas Park, it was renovated back to its appearance when it served as housing for the residents of early Miami. The cottage was initially used as a restaurant and later as the bathroom and storage for Bijans Restaurant. Several years after its relocation to Fort Dallas Park, the last Flagler Royal Palm Cottage received historic designation by the City of Miami. Local designation occurred in 1983. The Royal Palm Cottage was placed on the National Register of Historic places on January 4th, 1989. Despite age and neglect, the last Royal Palm Cottage remains in Fort Dallas Park. Due to parking logistics and a lack of foot traffic in the area, Bijans Restaurant went out of business roughly two to three years ago. Since that time, the City of Miami had to put up a fence around the buildings in the park to protect the area. However, there was an article in The Next Miami in March of 2016 that stated the City of Miami is trying to attract another restaurant to open in Fort Dallas Park to replace Bijans. Given the proximity to a Metro Mover stop and the increase in downtown population, there is hope that the next restaurant concept can revitalize the park. Cover Image: Row of Royal Palm Cottages in ~1900. Courtesy of Metropolitan Dade County. 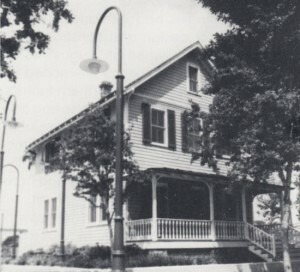 Figure 1: Last Royal Palm Cottage in 1979. Courtesy of Metropolitan Dade County. Figure 2: Cottage as Raymond Butler Insurance. Courtesy of Metropolitan Dade County. Figure 3: Royal Palm Cottage in Fort Dallas Park in 2016. Courtesy of Phillip Pessar. 2 Comments on "Flagler’s Royal Palm Cottages in Downtown Miami"
At least they saved one cottage. We go to the park sometimes to see Fort Dallas and the police horses next door. Flagler’s cottages have all the ear-marks of having been shipped down on his railrad as the most basic model of a Sears 19th century house kit. All lumber, hardware and plans came in a boxcar. Like Ikea, some assembly required.